St. Joseph’s Hospital, in Vegreville, provides 24-hour emergency care, acute and palliative care, and outpatient services such as gynecological, physical and occupational therapy, hemodialysis, and cardiac care. Rural hospitals face the unique challenge of maintaining exceptional emergency services, despite irregular use. First responders, emergency and trauma physicians, and other healthcare professionals don’t often have the opportunity to practice their skills but must be able to provide excellent emergency medicine on short notice. 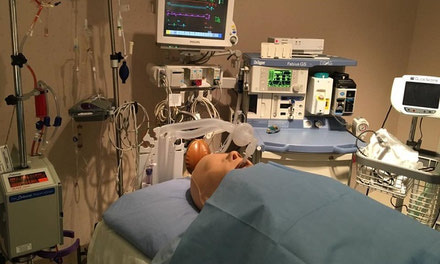 To keep their abilities at a consummate level, St. Joseph’s Hospital decided to pursue the development of a Medical Simulation and Clinical Skills Centre. With the help of Covenant Foundation, the Hospital paired up with Country 106.5, a new radio station in Vegreville, to host its first radiothon and raise funds for the project. They set a lofty, but attainable, goal of $25,000, but were overwhelmed by the response from sponsors and listeners. In total, over $59,000 was raised for the simulation centre. The outlying area, including Two Hills, Mundare, Lamont, Viking, Vermillion and Tofield, will all have the opportunity to learn and train in the simulation centre. Edgcumbe say they’ll offer at least six multidisciplinary emergency skills courses every year. Nursing and medical students will study at the simulation centre, and first aid courses, including infant first aid and resuscitation, will be offered to community members. 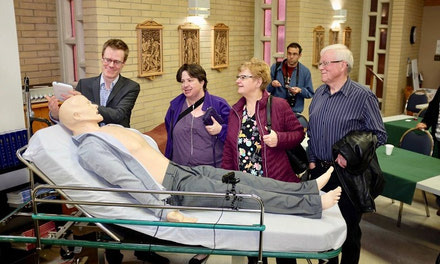 The money raised by the radiothon allowed for the purchase of equipment typically found in the teaching centre of a medical school, including both adult and infant mannequins that are programmable to present various emergencies. 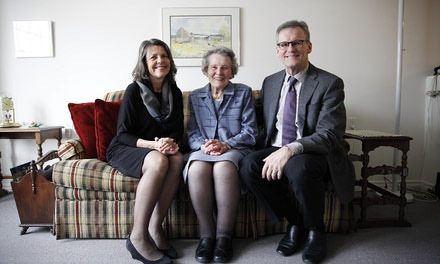 Nurses and health care aids at St. Joseph's Auxiliary Hospital in Edmonton have access to scholarship funds for further education thanks to a generous gift from the Chapple Family.